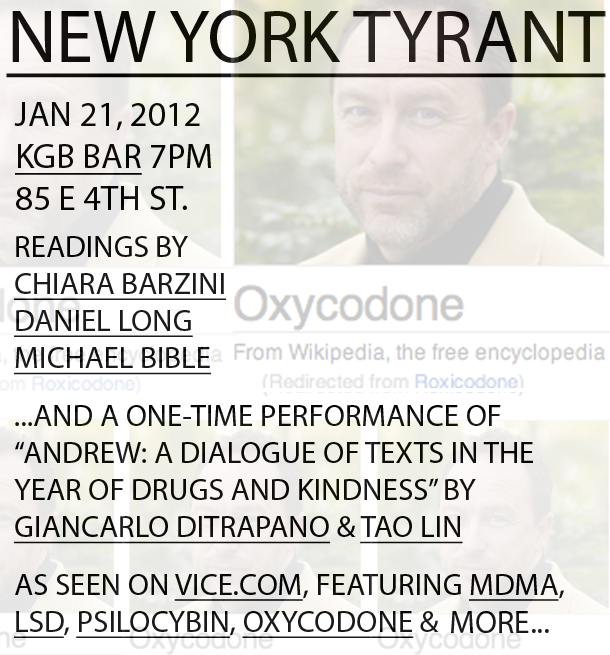 NYC friends, don't miss Oxford, MS's own MICHAEL BIBLE reading this Saturday 1/21/12 at KGB BAR. 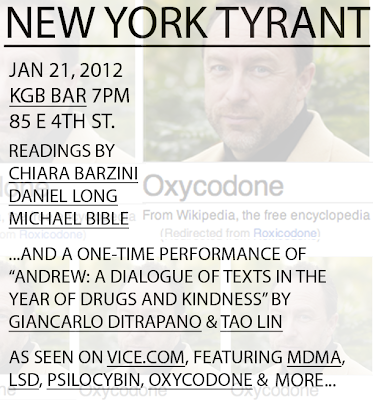 Literary giants GIANCARLO DITRAPANO and TAO LIN will also be reading from this masterpiece. If you can't make it up to New York, we're throwing a party the same night here in Oxford.